​As Mak Plus Power Systems Germany we produce battery charger, transaction battery charger, switch mode battery charger to be a solution for battery charger sector. Our long year experienced engineers and technical team understand your needs carefully before we produce battery charger solution. Because, using the correct battery charger is really important to save the life of batteries. The battery chargers that we produce in Germany and Europe is robust and high efficient. 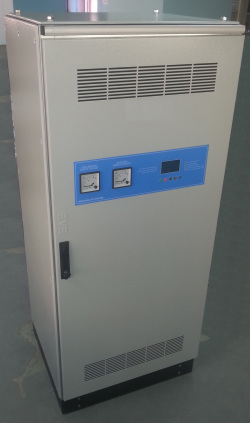 All components of 80V battery charger is high quality to extend the usage of battery charger. The chargers are designed with thyristor and IGBT. Our 80V battery chargers automatic controlled when the battery full as well as controlling the systematic of the life time. 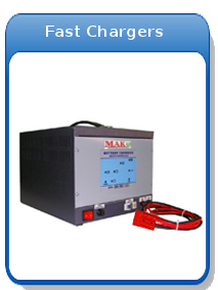 The battery chargers are easy to support and control the voltage and current values. There is a protection against to lightning and overcharging. 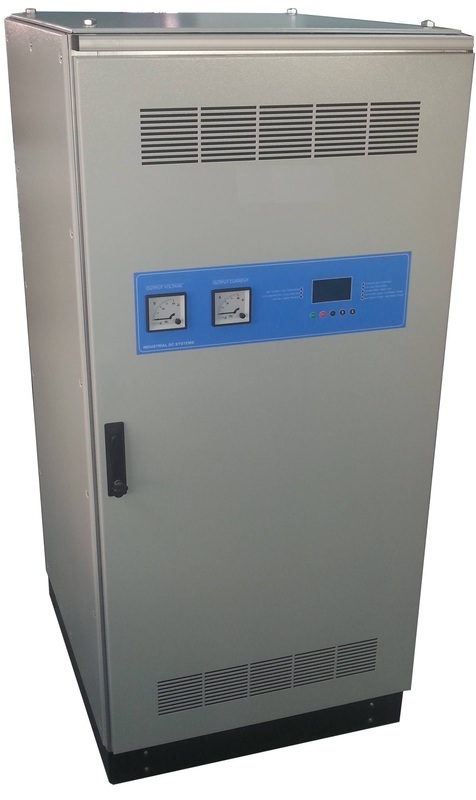 We design our 80V battery charger solutions user friendly and environmentally friendly. Overcharging can be bad problem especially for sensitive battery chargers. The 80V battery chargers have been designed for Germany market and all around the world. The chargers used for GSM sector, for Huawei and Alcatel GSM base station, telecom, IT, customized sector and oil sector as well as transportation sector. Mak Plus Power Systems produce not only standard battery chargers models but also switch mode battery charger, thyristor mode battery charger, high current battery charger and adjustable chargers. Switch Mode Battery Charge Devices , the new member of MAK+ battery charge group, serves more than your expectations. Batteries would be charged much safer with the improved software and special charging program. Non-complex structure, easy maintenance properties, user friendly program and other superior features will meet all requirements. The most important feature of the device is it can be used as supply source as well as a battery charger. Besides low ripple factor increases the battery life. It’s an ideal solution for where device weight and dimensions are problem. We produce our battery chargers for all kind of Forklifts and Forklift Battery. You can control the charging time, Charging Current and Voltage if you want. We also do all of the traction batteries Automatically. Wir produzieren unsere Ladegeräte für alle Arten von Gabelstapler Batterie. Sie können steuern, die Ladezeit, Ladestrom und-spannung, wenn Sie wollen. Wir tun auch alle Traktionsbatterien automatisch. Izdelujemo naše Polnilci baterij za vse vrste baterije Forklift. Lahko nadzor čas polnjenja, polnilni tok in napetost, če želite. Prav tako ne vseh pogonskih baterij Samodejno. Vyrábame batérie nabíjačky pre všetky druhy batérií vysokozdvižný vozík. Môžete ovládať dobu nabíjania, nabíjací prúd a napätie, ak chcete. Ďalej vykonávame všetky trakčných batérií automaticky. Производимо пуњаци за све врсте Виљушкари батерије. Можете да контролишете време пуњења, струја пуњења и напона ако желите. Вршимо све тракционих батерија Аутоматски. Мы производим наши зарядные устройства для всех типов аккумуляторов вилочные. Вы можете контролировать время зарядки, зарядный ток и напряжение, если хотите. Мы также делаем все тяговые батареи автоматически. Noi producem încărcătoare noastre de baterii pentru toate tipurile de baterii stivuitor. Aveţi posibilitatea de a controla timpul de încărcare, de încărcare de curent şi tensiune, dacă doriţi. Noi facem, de asemenea, toate bateriile de tracţiune automat. Nós produzimos nossos carregadores de bateria para todos os tipos de bateria Empilhadeira. Você pode controlar o tempo de carregamento, corrente de carga e tensão, se quiser. Nós também fazer todas as baterias de tração automaticamente. Produkujemy nasze ładowania akumulatorów do wszystkich rodzajów baterii widłowego. Możesz kontrolować czas ładowania, prąd ładowania i napięcie, jeśli chcesz. Wykonujemy również wszystkich akumulatorów trakcyjnych Automatycznie. Vi produserer våre batteriladere for alle slags truck batteri. Du kan styre ladetiden, ladestrøm og spenning hvis du vil. Vi gjør alle de traksjonsbatterier automatisk. Gaminame mūsų baterijų įkrovikliai visiems šakinio Baterijos natūra. Jūs galite kontroliuoti įkrovimo laikas,, Įkrovimo Srovė ir įtampa, jei norite. Mes taip pat padaryti viską, traukos akumuliatorių Automatiškai. Mēs ražojam akumulatoru lādētāji visa veida iekrāvēja Battery. Jūs varat kontrolēt uzlādes laiku, uzlādes strāva un spriegums, ja jūs vēlaties. Mēs arī darīt visu vilces bateriju Automātiski. 우리는 지게차 배터리 모든 종류의 위해 우리의 배터리 충전기를 생산하고 있습니다. 당신이 원한다면 전류 및 전압 충전, 충전 시간을 제어할 수 있습니다. 우리는 또한 자동으로 견인 배터리 모든 걸 할. Noi produciamo i nostri caricabatterie per tutti i tipi di batteria Forklift. È possibile controllare il tempo di carica, corrente di carica e tensione, se si desidera. Ci occupiamo anche di tutte le batterie di trazione automatica. Kami memproduksi pengisi baterai kami untuk semua jenis Forklift Battery. Anda dapat mengontrol waktu pengisian, Pengisian Lancar dan Voltage jika Anda inginkan. Kami juga melakukan semua baterai traksi otomatis. Mi gyártjuk akkumulátor töltők mindenféle Targonca akkumulátor. Azt is ellenőrzik a töltési idő, a töltőáram és a feszültség, ha akarod. Mi is tegyenek meg mindent a vontatási akkumulátorok automatikus. Παράγουμε φορτιστές μπαταριών μας για όλα τα είδη της μπαταρίας ανυψωτικά οχήματα. Μπορείτε να ελέγξετε το χρόνο φόρτισης, ρεύμα φόρτισης και τάσης αν θέλετε. Μπορούμε επίσης να κάνουμε όλες τις μπαταρίες έλξης αυτόματα. ჩვენ ვაწარმოებთ ჩვენს ბატარეის დამტენები ყველა სახის Forklift Battery. შეგიძლიათ აკონტროლოთ დატვირთვის დროს, დადანაშაულება აქტუალური და ძაბვის თუ გსურთ. გარდა ამისა, ჩვენ გავაკეთებთ ყველა წევის ბატარეები ავტომატურად. Nous produisons nos chargeurs de batterie pour tous les types de batterie Chariot élévateur. Vous pouvez contrôler le temps de charge, courant de charge et de tension si vous voulez. Nous faisons aussi toutes les batteries de traction automatique. Tuotamme akkulaturit kaikenlaisia ​​Forklift Battery. Voit ohjata latausaika, latausvirta ja jännite, jos haluat. Teemme myös kaikki ajoakut automaattisesti. Toodame meie akulaadijad igasugu Forklift Battery. Saate kontrollida laadimisaeg laadimisvool ning pinge, kui soovite. Teeme ka kõik veoakude automaatselt. Wij produceren onze batterijladers voor allerlei Heftruck batterij. U kunt de laadtijd, laadstroom en spanning als je wilt. Wij doen ook alle van de tractiebatterijen automatisch. # Vi producerer vores batteriopladere for alle slags Forklift Batteri. Du kan styre ladetid, ladestrøm og spænding, hvis du ønsker. Vi laver også alle de traktionsbatterier automatisk. Vyrábíme baterie nabíječky pro všechny druhy baterií vysokozdvižný vozík. Můžete ovládat dobu nabíjení, nabíjecí proud a napětí, pokud chcete. Dále provádíme veškeré trakčních baterií automaticky. Mi proizvodimo naše baterije punjače za sve vrste viličara baterije. Možete kontrolirati vrijeme punjenja, punjenje struje i napona, ako želite. Također ne sve vuče baterijama Automatski. Ние произвеждаме нашите зарядни устройства за всички видове Мотокар на батерията. Можете да контролирате времето за зареждане, заряден ток и напрежение, ако искате. Ние също така направи всички тягови батерии автоматично. ونحن ننتج شحن بطارية لدينا عن كل نوع من البطارية رافعة شوكية. يمكنك التحكم في وقت الشحن، شحن التيار والجهد إذا كنت تريد. نقوم به أيضا كل من بطاريات جر تلقائيا.